The NEBOSH International General Certificate Conversion Course covers the International Standards and Conventions for health and safety, to enable delegates who have attended the NEBOSH National General Certificate course to complete the NEBOSH International General Certificate course. This course is designed for those delegates who want to gain the NEBOSH International General Certificate in Occupational Safety and Health as a bolt on to their NEBOSH National General Certificate studies to maximise their career opportunities. Completion of the NEBOSH National General Certificate within the last 5 years is a prerequisite for attending this International Conversion Course. 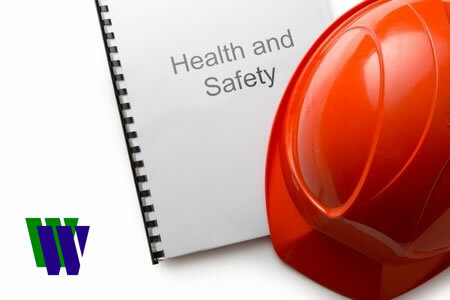 This course is designed for those delegates who want to gain the NEBOSH International General Certificate in Occupational Safety and Health as a bolt on to their NEBOSH National General Certificate studies. The NEBOSH International General Certificate (2 day) Conversion Course covers the International Standards and Conventions for health and safety, to enable delegates who have attended the NEBOSH National General Certificate course to complete the NEBOSH International General Certificate course. This course is designed for those delegates who want to gain the NEBOSH International General Certificate in Occupational Safety and Health as a bolt on to their NEBOSH National General Certificate studies to maximise their career opportunities. Completion of the full NEBOSH National General Certificate within the last 5 years is a prerequisite for attending this International Conversion Course. Please be aware that this course only covers the required content to convert from Unit NGC1 to Unit IGC1: Management of Health and Safety. Are you already one step towards your next NEBOSH Certificate? The NEBOSH unit based approach allows you to organise your learning into manageable blocks and enables you to gain recognition and certification of your achievements as you progress. It will allow you to gain additional units to achieve new qualifications without having to study or be assessed on topics that you have already covered in a previous NEBOSH qualification. Unit IGC1 is the only taught unit which is assessed by a two-hour written examination. The written examination consists of ten ‘short-answer’ questions and one ‘long-answer’ question. The price includes the course text book, additional notes, NEBOSH fees and refreshments. The course is presented as 1 x 2 day block, with the examination on the final day. Click here to view course dates.